I created a kit with all the essentials for myself. Whenever I grabbed it out, friends would always comment that they wished they had a kit like mine but never quite found the time. 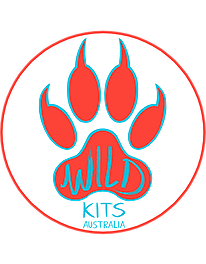 So Wild Kits were born. A quick fix for busy people who want to be organised. At half the cost of retail, you can now save time and money. Everything in a Wild Kit has been tried and tested, with selected brands that I trust and use on my own family. Each kit is carefully hand packed for you.